The Blog for ALL Musicians wanting to learn how to make music a career! Overcoming the crippling fears and anxieties about being a pro musician – Why you HAVE to believe in yourself and focus on your strengths! Perform for a Toronto based wedding band. A colleague is looking for talented musicians…This could be you! A gig opportunity has just come across my desk. A colleague of mine is looking for musicians to work in a very reputable wedding/events band. I love hooking you guys up with opportunities so if any of you are looking for work in an events band this post is for you. This opportunity is legit and I wish you all the best of luck if you decide to apply as a candidate. A professional attitude. This is a professional band with many bookings already and more to come. Post a link to your website or some video footage of you performing in the comments section below. A rep from the company will be in touch shortly! By compiling everything pertaining to the “requirements” section it will speed up the process and give you a better chance to be considered for this position. Whatever the outcome, it’s good to have all of this info compiled in one easy-to-share place to help you apply for any other opportunities of this type. I’m really happy to be able to bring this opportunity to you guys. If you’re looking for a great work opportunity then this one can definitely pan out for you. I know the guy looking for artists and have heard of the company and they are big players in the Toronto events scene. As you apply you will be given all the pertinent information. I’ve played a thousand weddings. I’m an experienced bassist. Feel free to check out my site. What is the web address? Professional drummer for hire, numerous experience in multiple genres, great working attitude. Hi, I am a guitarist. I am including the links to my profile and videos. Thanks! You can visit my band website at http://www.sidebvibe.com. Hi there, I’m a drummer. I’ve been a professional singer for more than 30 years. Lots of experience. I currently sing with Classic Albums Live and my voice is on one of the most successful radio/TV jingles – Alarm Force! Bio, pics, video, audio can all be found at my website at http://www.muraoke.com. I can provide plenty references if needed. Lucian Gray here, guitarist. Always looking for work! Instagram handle @bro.bro.bro.bro, think it gives a good overview of what I do. I am a very versatile musician and educator with experience in many different musical genres, including Jazz, Funk, Latin and Blues. In 2017, I received his Bachelor of Music degree from Humber College, specializing in drums and percussion. While at Humber College, I had the privilege of studying with some of Canada’s most prestigious drummers including; Paul Delong, Mark Kelso and Larnell Lewis. I over seven years of professional experience comprising of live, studio and theatre performances. Aside from performing and teaching in Toronto, I have also performed at Diamond Tooth Gertie’s Gambling Hall, Canada’s Oldest Casino, in Dawson City Yukon, during their 2015 season and also an integral member of Cirque Canadien, performing at Canada’s Wonderland as part of the Canada 150 celebrations, during the summer of 2017. hi!, i am from Lima Peru. i have experience in many instruments but my principal instrument is the drums!. https://www.youtube.com/watch?v=ucR8NF0nf4E here i am the vocalist. https://www.youtube.com/watch?v=2rCEhzrCxKY 10 years ago in the drums! Hey Brad! Drop a line anytime… lots of experience in weddings/corporate events. Full time professional; I’ve got a great work ethic, I’m reliable and have lots of rep. I’ve got the feel/ear to play whatever you might want to hear at a wedding (unless it’s a death-metal wedding ha ha). Reliable transportation, pro acoustic/electronic and percussion gear. Reach out to Vince or Valerie Roy if you need a referral! Good morning Brad. My name is Tash Lorayne. I am an experienced vocalist with over 10 years of experience singing in Duo’s, Trio’s all the way up to a full 9 piece band. I’ve had residences at The Ritz Carlton, Hy’s Steakhouse, Shangri La Hotel and The Fairmont Royal York and I’ve sung leads at hundreds of weddings at this point. Please feel free to check out my website at http://www.tashlorayne.com or you can email me at tash@tashlorayne.com. Experienced vocalist and rhythm guitar player. Work as an acoustic musician doing bar gigs and the odd wedding. Can sing and play rhythm for the band. Can find a link to me and my band covering Tenth Avenue Freeze Out here https://www.youtube.com/watch?v=pu-aj0-ZcOk. 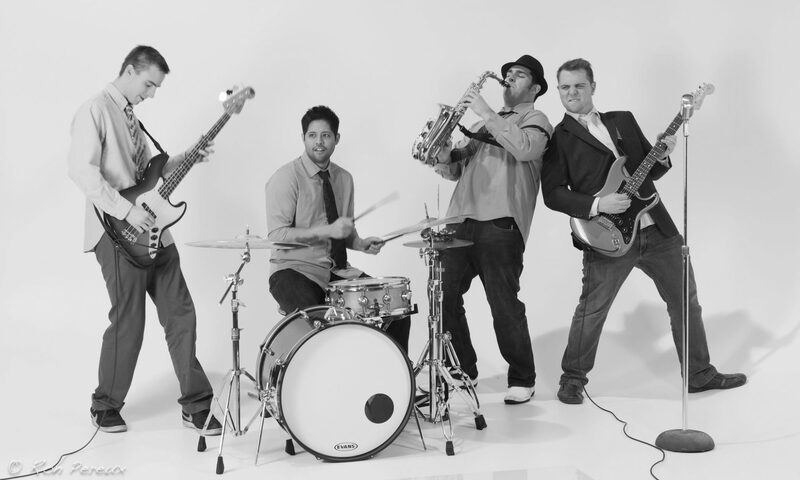 Full Cover Band here: “The Moonwalks are passionate young musicians who cover current and classic hits in our own dance-rock style, from the Rolling Stones to Radiohead to Rihanna. And, of course, the legendary Michael Jackson. Hi, my name is Regis. I’m a Brazilian musician. I have university education. I have experience in casomentos and parties in general. I hope to be able to add to your team. Dave is my name,music’s my game!